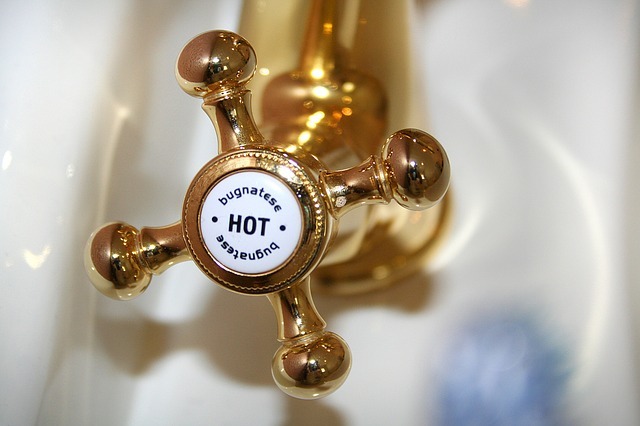 How often do you think about your hard-working hot water heater? If you are like most busy people today, it’s likely that the only time your water heater crosses your mind is when you don’t have hot water. When you consider that, according to Natural Resources Canada, use of the hot water heater can burn up as much as 19 percent of your home energy budget each month (and for businesses, 8 percent of your commercial energy budget), it becomes clear that your hot water heater deserves some long-overdue TLC. In this post, learn how to ensure your hot water heater is running smoothly and efficiently so you can get the most use for the least cash in the new year! But as the Ottawa Citizen points out, if you took a quick look inside your hot water heater tank itself, you would probably find yourself chomping at the bit to get the grunge out. One of the most common reasons a hot water heater doesn’t perform at peak efficiency is a grimy tank. The grime comes from mineral and sediment buildup inside the tank. The more mineral-rich your household or business water is, the more buildup your tank is likely to accumulate. Basically, you’re taking your shower or bath and washing dishes and drinking coffee or tea brewed with hot water and sediment (yuck!). When the sedimentary minerals have accumulated to the point where they are reducing your water heater’s operational efficiency, you are spending more money to get less hot water and placing excess wear and tear on your hot water system. Ideally, you should make an appointment to get your hot water heater tank flushed out at least once per year, and more frequently if you are an especially heavy user. By planning for this service in advance, you can schedule it on a day and at a time when everyone at home or work can go without hot water for a few hours without duress. First, shut off the power to your hot water heater itself. Next, shut off the water that is supplying the tank. Now, screw on a garden hose to the water valve on the underside of the water heater tank. Run the opposite end of the garden hose to an unobtrusive spot outside on the lawn or curb. Open the valve and, at the same time, turn on the water to the tank again. Allow the water to run and flush all the sediment and detritus out of your water heater tank. Continue to let the water run and the heater tank flush until the water at the other end runs clear. Close the valve and disconnect the garden hose. Restore power to the hot water heater and enjoy fresher, purer hot water. If you have a large-capacity storage tank, it can be a good idea to shut off the electricity several hours before you start the flushing process. This can use up existing hot water and protect maintenance personnel from coming into contact with hot scalding water coming through the garden hose. In some cases, you may have taken possession of a home or commercial space with an older hot water heater. But you may not have received maintenance records along with the paperwork from the sale. So you may not know when (if ever) the last maintenance and tank flush took place. In this case, you may need to take one additional step to ensure your hot water is clean, potable, and sediment-free. Flushing will get rid of up to 95 percent of trapped sediment, so you should do this first. But then you will want to remove the zinc-based rod inside your water heater tank and inspect it. If your water heater has never been flushed or has not been flushed for a long time, you may notice that this zinc rod, called an “anode,” is highly corroded. If you notice this, it is time to replace the anode. This is very important because the anode’s job is to serve as the target for corrosion so your tank will remain intact. Zinc is the easiest metal to corrode, so the anode will always become the first target. As long as you have an intact anode, your water tank itself is likely to escape corrosion unscathed. Unless you are quite familiar and comfortable with water heater maintenance, it is best to bring in a professional to examine and (if necessary) replace the anode rod. If you have a tankless water heater, you will still need to plan to do a biannual or annual flush to remove any built-up minerals and sediment. If you have hard water in your area, it is best to schedule this maintenance every six months. You will also need to closely monitor the heat exchanger, which is sensitive to hard water minerals and may need cleaning on an annual basis. This is best done at the same time you flush the system itself and clean the water filter. Also be sure to check the vent and exhaust system to clear away any dirt or debris and ensure your unit is fire-safe.